We import quality approved Molsiv Adsorbents from the best manufacturers of United States, African continents and other major countries. Molsiv Adsorbents is a molecular filter with enhanced carbon dioxide adsorption for all air prepurifiers. The High Performance Adsorbents has been used widely for its phenomenal capacity of adsorbing water and carbon dioxide. 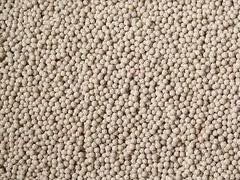 We maintain huge stocks of Filtering Adsorbents so that we are able to meet varied requirements of the buyers.